Unlike the AMSAT Satellite Communications Achievement Award, the 50th Anniversary AMSAT Satellite Communications Achievement Award will be issued on one of the original goldenrod paper stock certificates and signed by AMSAT’s founding President, Perry Klein, K3JTE (now W3PK). With only 20 original certificates available, this award will certainly become a collector’s item. The first 20 applicants to successfully submit 20 confirmed, qualifying contacts on any satellite will receive this award. A qualifying contact is defined as the establishment of two-way communication on any amateur radio satellite, with another station in a U.S. state, Canadian call area, or DXCC entity, no two of which may be the same. All contacts must be made between March 03, 2019 00:00 UTC and December 31, 2019 23:59 UTC. A U.S. state shall mean any state of the United States and the District of Columbia. The 14 Canadian call areas are VE1 – Nova Scotia, VE2 – Quebec, VE3 – Ontario, VE4 – Manitoba, VE5 – Saskatchewan, VE6 – Alberta, VE7 – British Columbia, VE8 – Northwest Territories, VE9 – New Brunswick, VO1 – Newfoundland, VO2 – Labrador, VY0 – Nunavut, VY1 – Yukon, VY2 – Prince Edward Island. Only one qualifying contact is allowed for each U.S. state, Canadian call area, and DXCC entity. Qualifying contacts may not be counted for multiple types of entities. As an example, a QSO with Alaska counts as an additional state or DXCC entity, not both. Contacts must be made from same location, or from locations, no two of which are more than 50 miles (80 kilometers) apart. 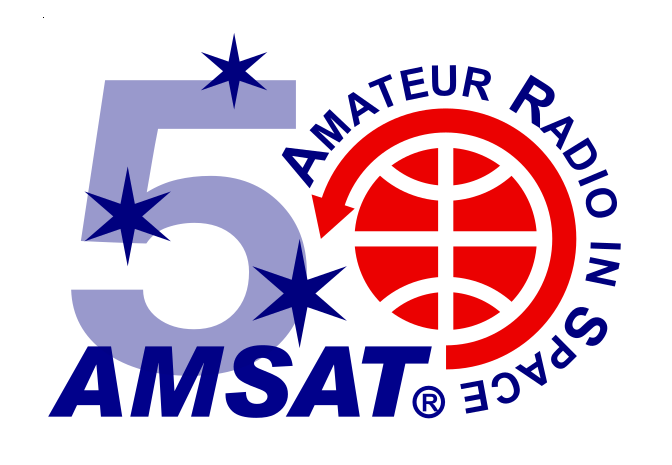 Previous recipients of the AMSAT Satellite Communications Achievement Award, may apply for the 50th Anniversary AMSAT Satellite Communications Achievement Award. The cost for this award is $25, plus postage. Certificates will be mailed upon receipt of payment. Certificates will be sequentially numbered. The name of the award you are applying for as the subject line. Your AMSAT member number. If you are not an AMSAT member, then state so. Attachment(s) providing proof of your qualifying contacts. Acceptable proof of each qualifying contacts is limited to scanned copies of a QSL card or a screen capture/printout of your LoTW confirmation. Acceptable email file attachments include .jpg and .png. You may also paste the images in a Word or Adobe PDF document. After your email application has been accepted and approved, you will receive a reply email instructing you how to make your payment on the AMSAT Online Store. Your certificate will then be sent to you, using the shipping address you used with your online payment.